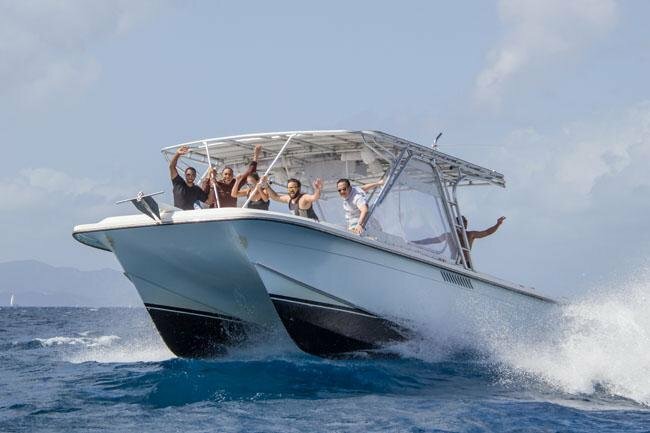 Our Power catamaran is a 36' Perfection boat originally designed as a sport fishing boat which makes her exceptionally stable and comfortable. We are licensed for up 16 passengers and with her twin Cummins inboards we can cover a lot of ground. 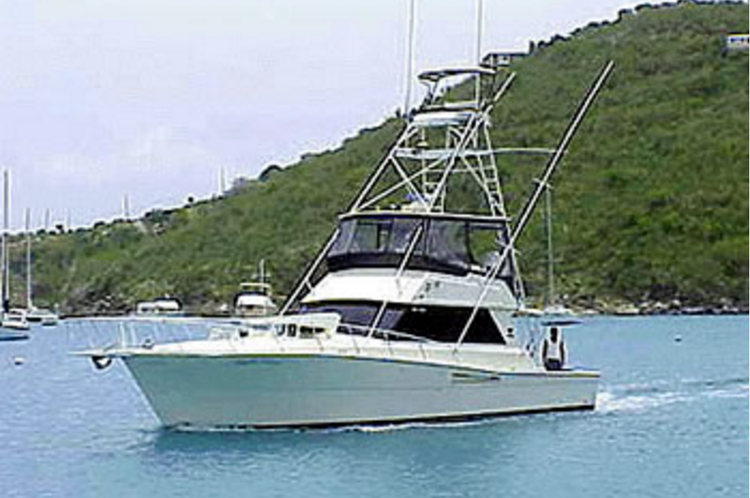 Whether you want to go to Norman Island AND Jost Van Dyke, or The North Sound AND The Baths or even all the way to Anegada, this is the perfect boat for this amazing experience! Your Crew is ready to create an amazing day at sea for you, come aboard and you will see why our motto is: COME AS GUESTS, LEAVE AS FRIENDS! Captain Joe hails from New Hampshire and grew up in St. Petersburg, Florida. At a young age, Captain Joe, developed a love for the sea and boating. Upon graduating from High School, he quickly decided to further this passion. Captain Joe served four years in the United States Navy as a quartermaster on the DDG-10 USS Sampson. He would then find himself manning a vessel for Clipper Cruise Lines in Alaska and the Caribbean for five years (This is how Captain Joe fell in love with the BVI). After this adventure Captain Joe moved to Louisiana to captain The Belle of Baton Rouge Casino. Captain Joe provides first class day sails for all his guests. He is very passionate about the sea, the environment and the history of the beautiful BVI and likes to share that with everyone he can. 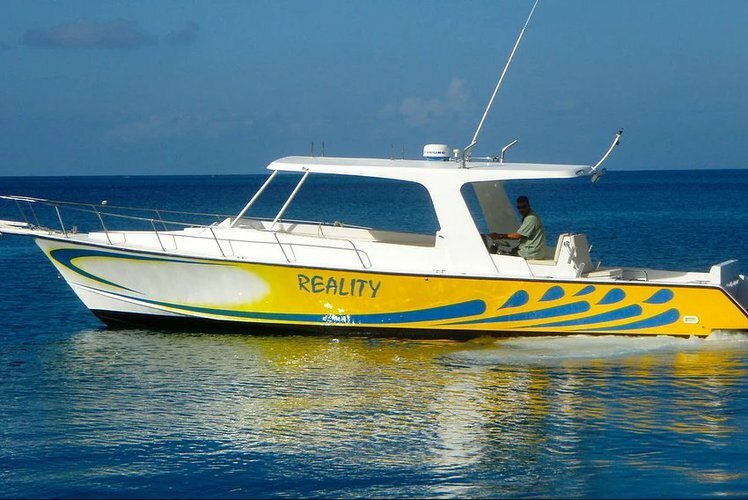 His over 21 years of experience on the sea speaks for itself when you are on the vessel with him. Your safety and comfort is his #1 priority! Captain Joe is very interactive on all charters. He will tell you "story time" of the islands, as well as get in the water with his guests. He prides himself on helping his guests have an experience they may have never tried before. Whether you are a non swimmer, beginner snorkeler, pregnant, very young or "seasoned" at heart, he will instruct you on the proper way to have a great experience. After all, when you sail with Captain Joe you are not getting an excursion, you are getting an Experience! His goal is to make memories with you of your vacation that you will never forget and leave you wanting to come back for another tour. With this being said, it is no wonder his motto is "Come as Guests, Leave as Friends". Captain Joe hails from New Hampshire and grew up in St. Petersburg, Florida. At a young age, Captain Joe, developed a love for the sea and boating. Upon graduating from High School, he quickly decided to further this passion. Captain Joe served four years in the United States Navy as a quartermaster on the DDG-10 USS Sampson. 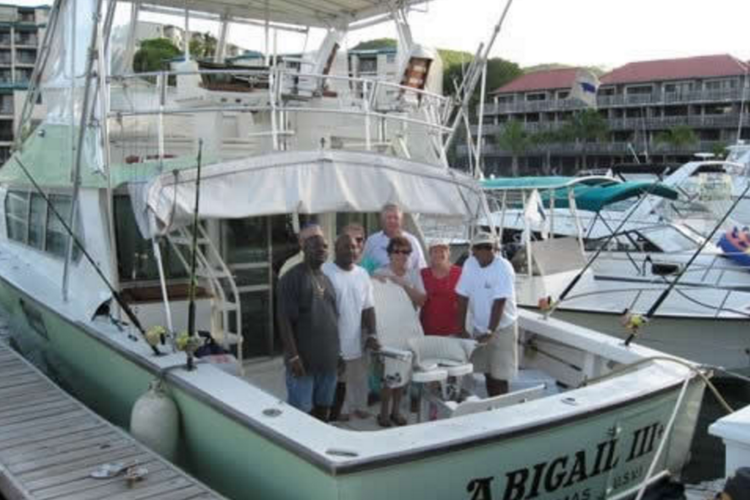 He would then find himself manning a vessel for Clipper Cruise Lines in Alaska and the Caribbean for five years (This is how Captain Joe fell in love with the BVI). After this adventure Captain Joe moved to Louisiana to captain The Belle of Baton Rouge Casino. Captain Joe provides first class day sails for all his guests. He is very passionate about the sea, the environment and the history of the beautiful BVI and likes to share that with everyone he can. 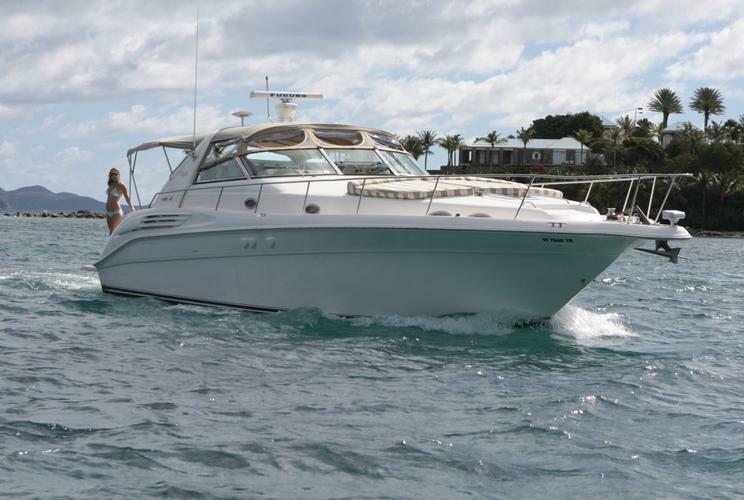 His over 21 years of experience on the sea speaks for itself when you are on the vessel with him. Your safety and comfort is his #1 priority! Captain Joe is very interactive on all charters. He will tell you "story time" of the islands, as well as get in the water with his guests. He prides himself on helping his guests have an experience they may have never tried before. Whether you are a non swimmer, beginner snorkeler, pregnant, very young or "seasoned" at heart, he will instruct you on the proper way to have a great experience. After all, when you sail with Captain Joe you are not getting an excursion, you are getting an Experience! His goal is to make memories with you of your vacation that you will never forget and leave you wanting to come back for another tour. With this being said, it is no wonder his motto is "Come as Guests, Leave as Friends". 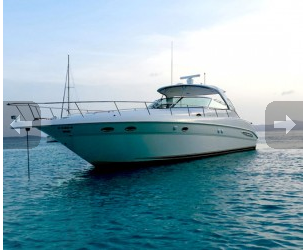 Enjoy the ultimate luxury charter of St. Thomas! 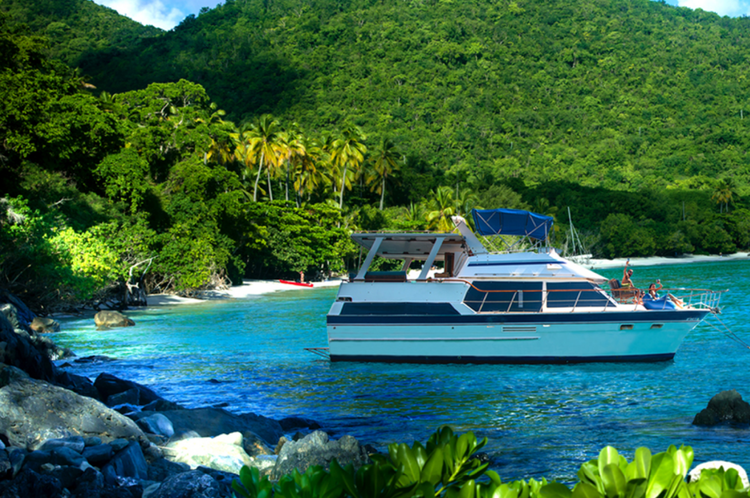 A Spacious and Comfortable Excursion in the Virgin Islands!